I thought I would quickly take a snapshot of me cleaning up the kitchen. Handmade is such a part of my life that I thought I ought to stop and consider how much is present. So, picture me standing in my kitchen. 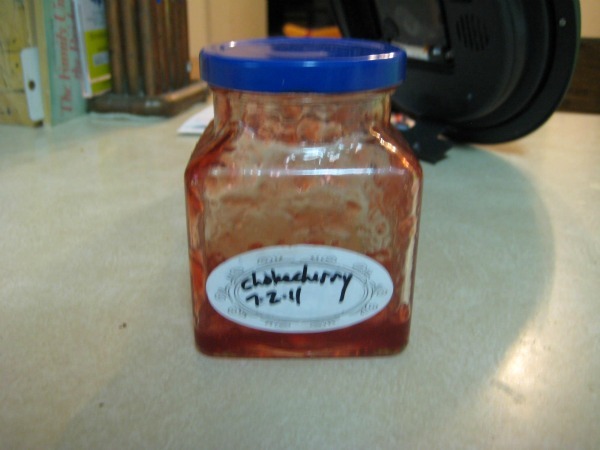 First, I put away the chokecherry jelly jar that my son emptied. Encouraged by my grandparents’ recommendation of chokecherry jelly, I made some of my own, thanks to the kindness of my brother and sister-in-law, who were kind enough to let us glean from their trees. My older two kids love chokecherry jelly. While I’m standing at the kitchen counter, I open the drawer for some lip balm. 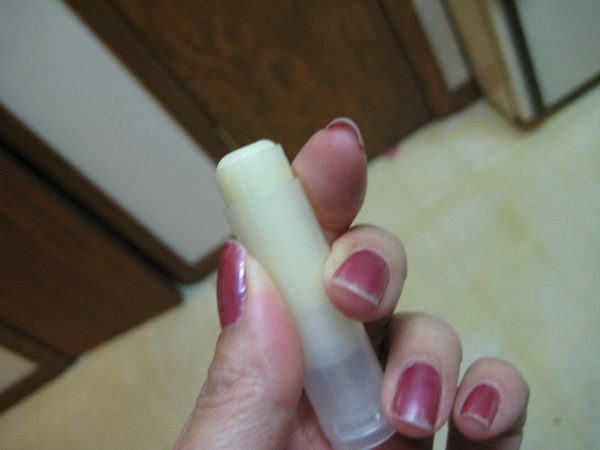 Ah, relief for dry lips. Ignore the worn nail polish. 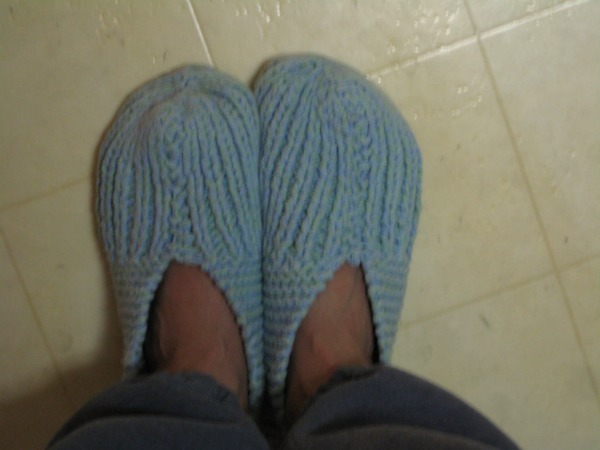 Since I’m standing here, why not photograph my slippers? My younger son outgrew these very quickly, so now they are mine. My new washer and dryer get them cleaner than they’ve ever been. You’ve seen my feet, now look at my head. 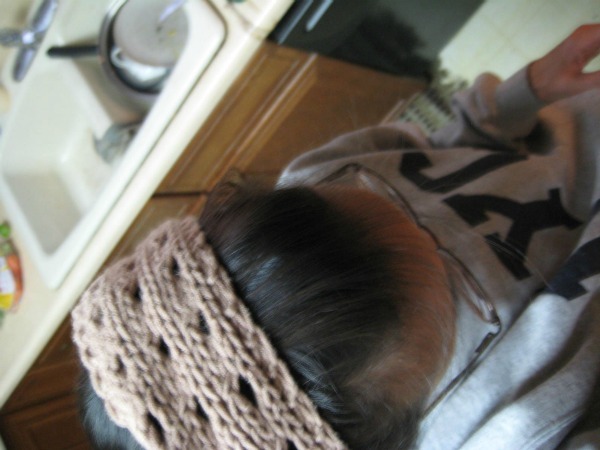 I made this handy headband from a super-soft yarn. I really need to move from this spot. How about I put away the honey that my youngest used on her toast? Honey in my pantry. There's more on the floor. Honey isn’t really handmade, but it is hand packaged. We just ended our honey harvest. I’m happy that I save glass jars and lids, because I ran out of pint jars. The honeybears came from my brother and sister-in-law. I split my hive in the spring with them. 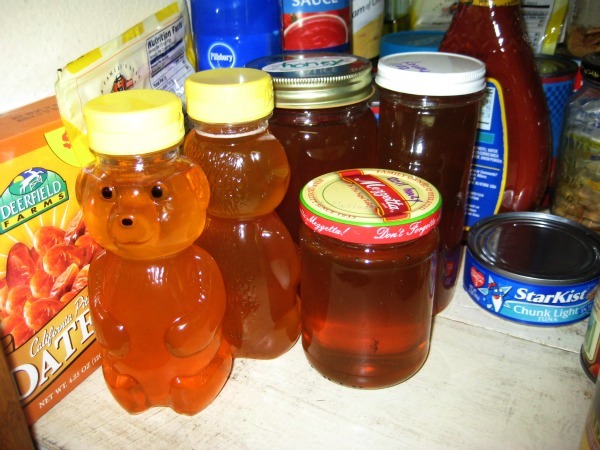 I topped off one of their bears with our honey. What handmade items do you have in your home? This entry was posted in blogging, crafting, etc., food. Bookmark the permalink.